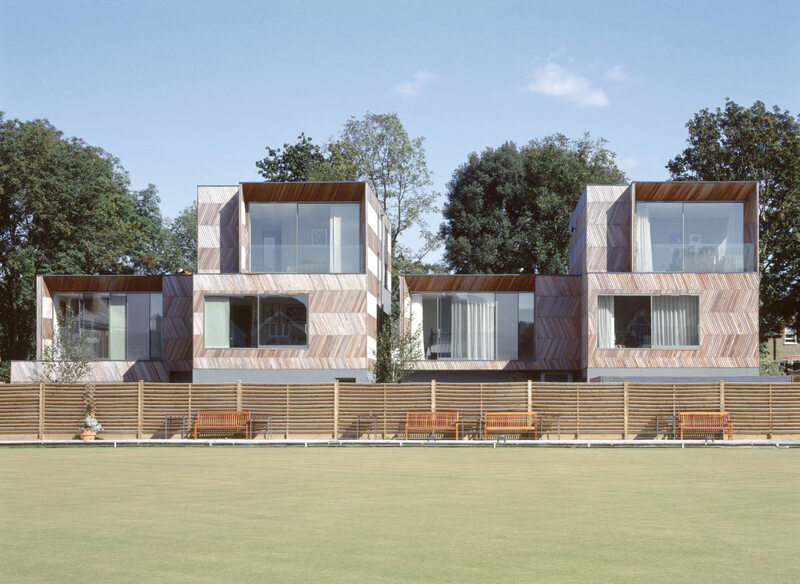 Uniquely sited in a backlands plot, overlooking a Wandsworth bowling green, this scheme consists of two 400sqm urban woodland houses for developer Lyford Investments. 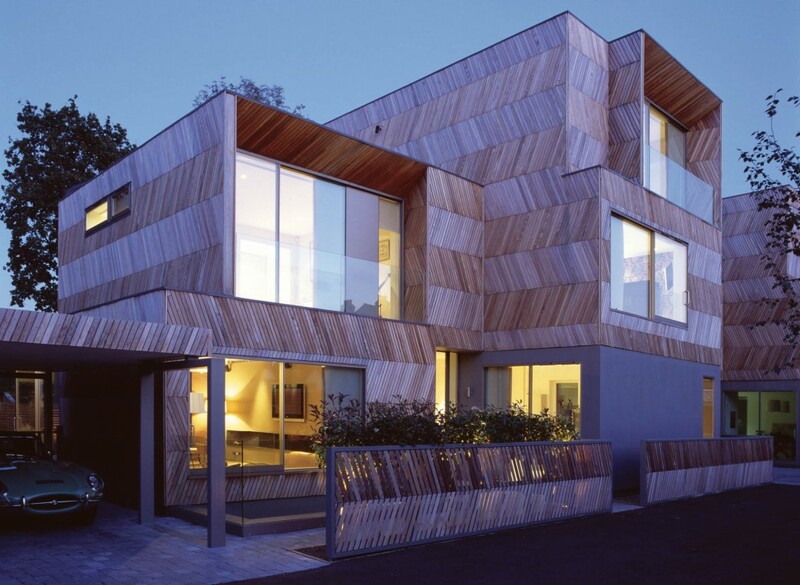 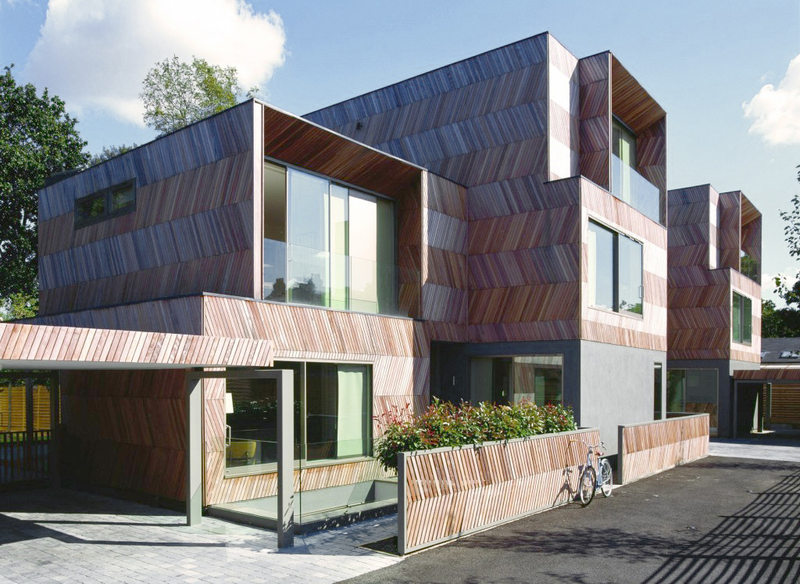 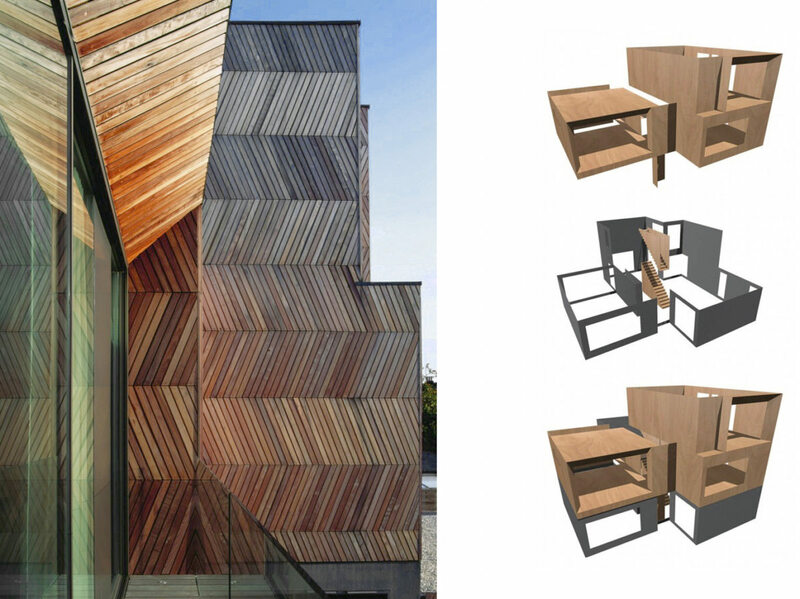 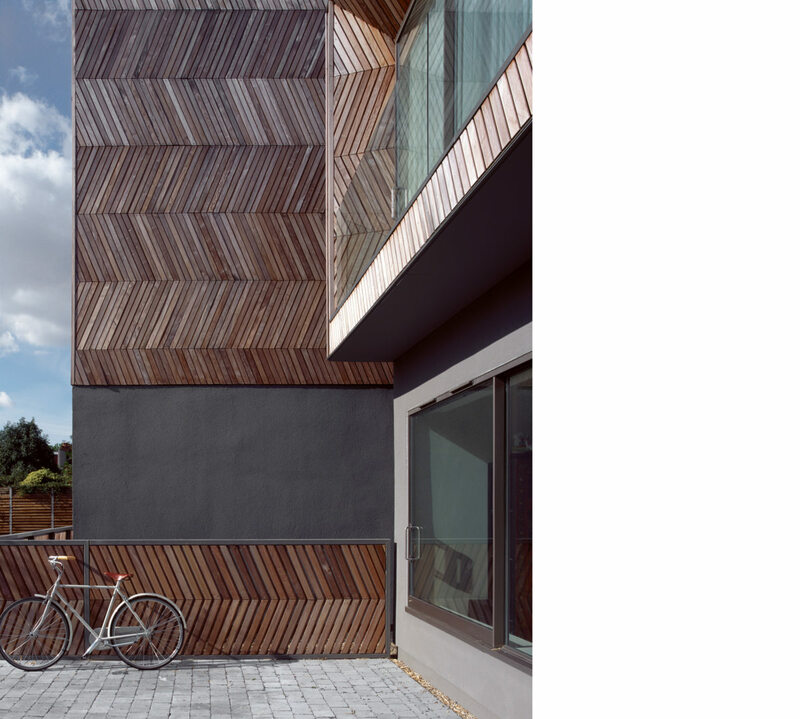 Like a Victorian house turned inside out, the building’s herringbone cladding is a traditional timber floor pattern transferred to facades, creating an optical illusion of accordion-like surfaces. 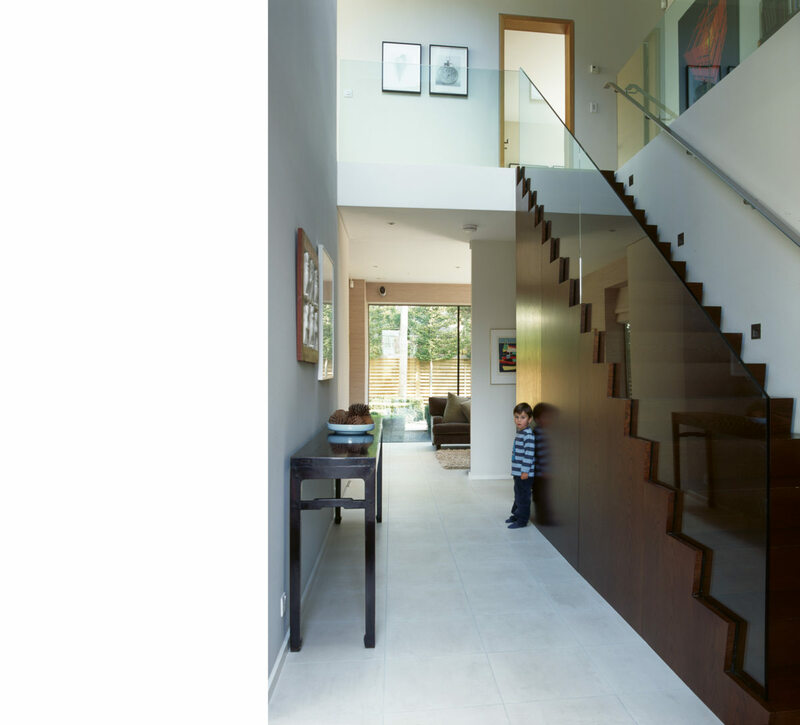 Light filled atriums illuminate suspended stairs at the centre of each house; high-ceilinged open-plan spaces interlock with gardens; full basements decrease the footprint but add space. 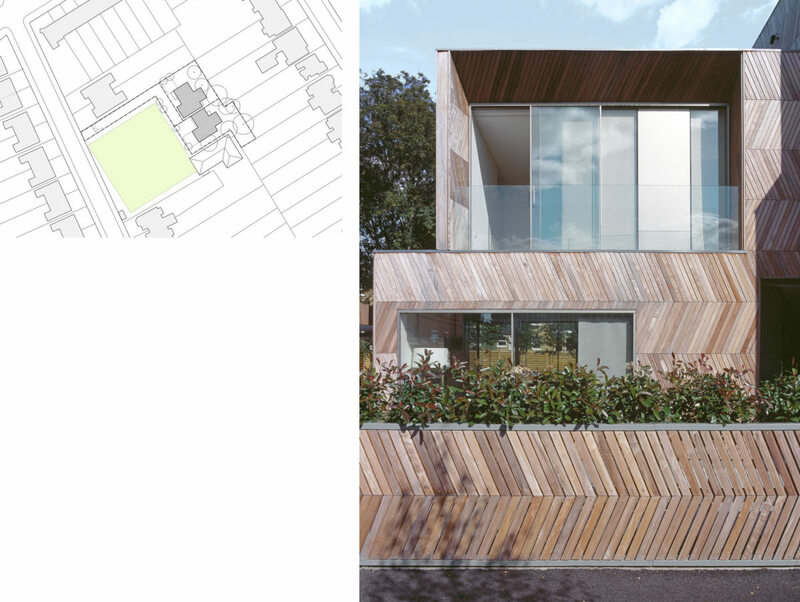 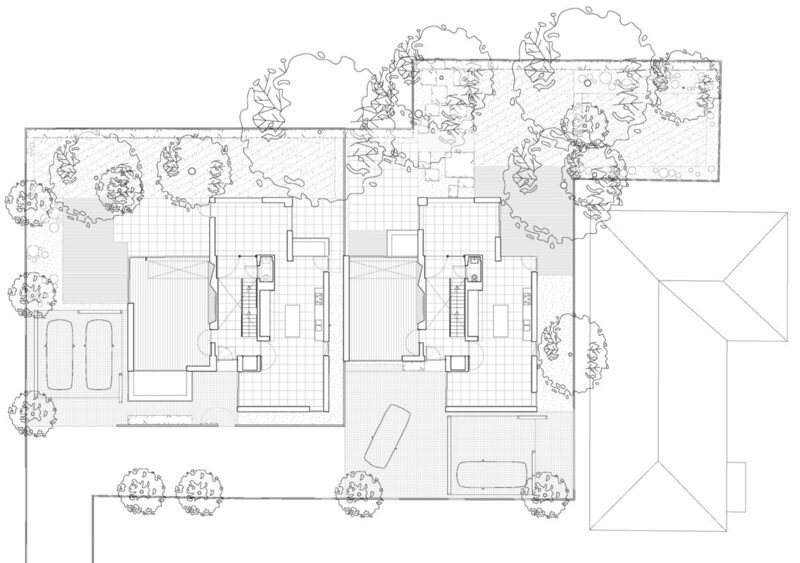 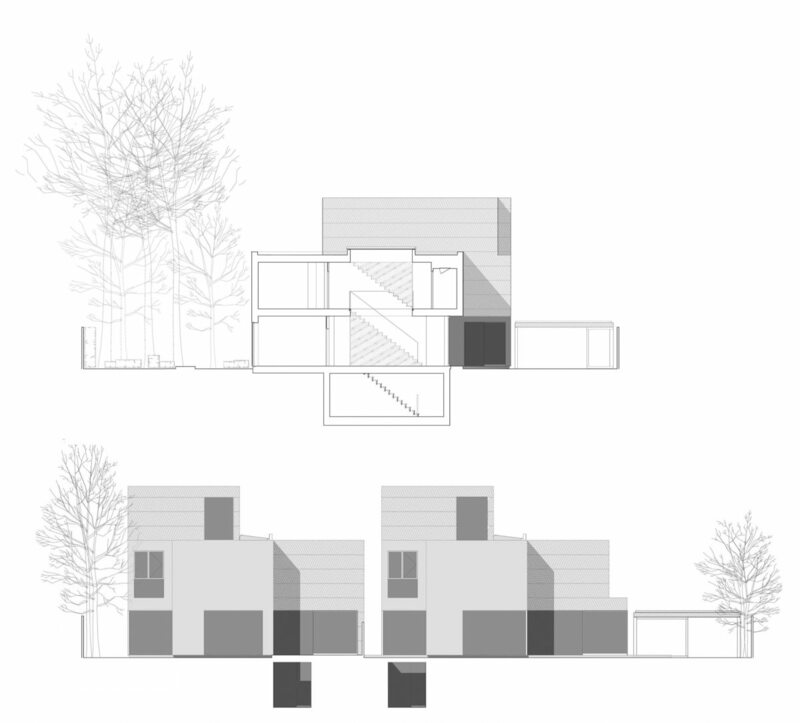 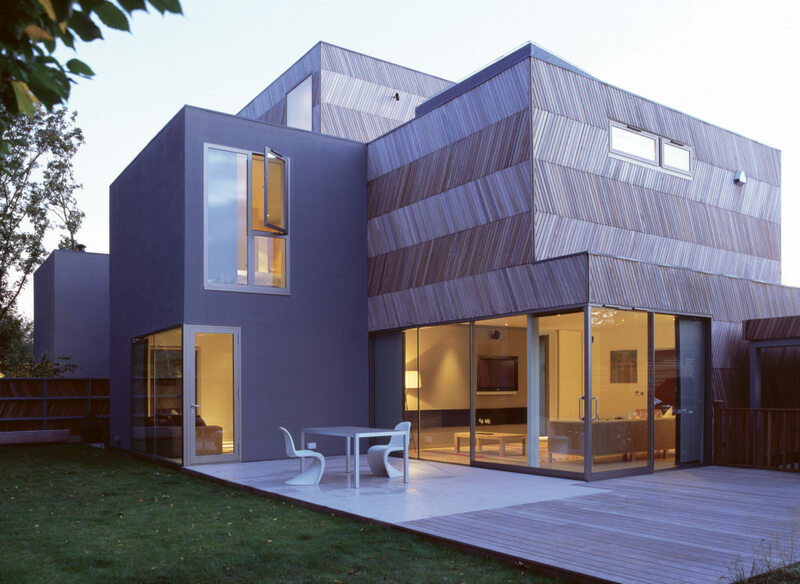 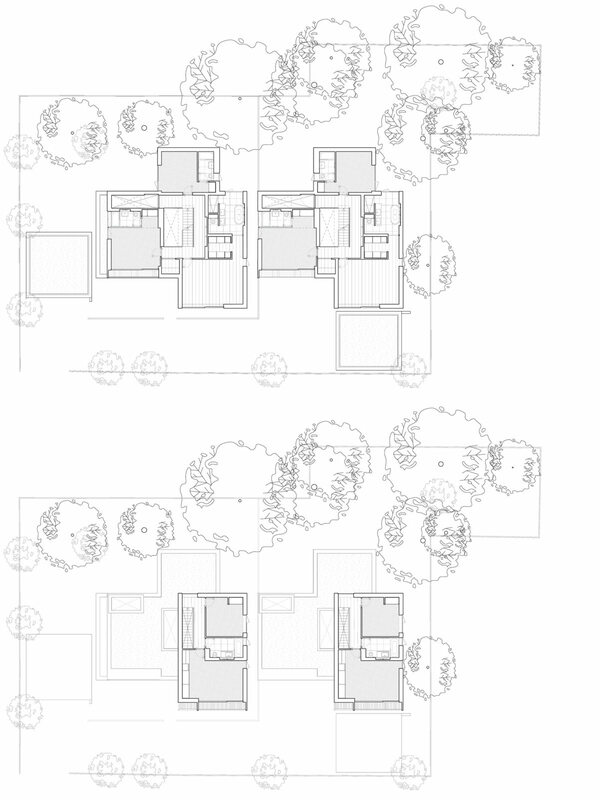 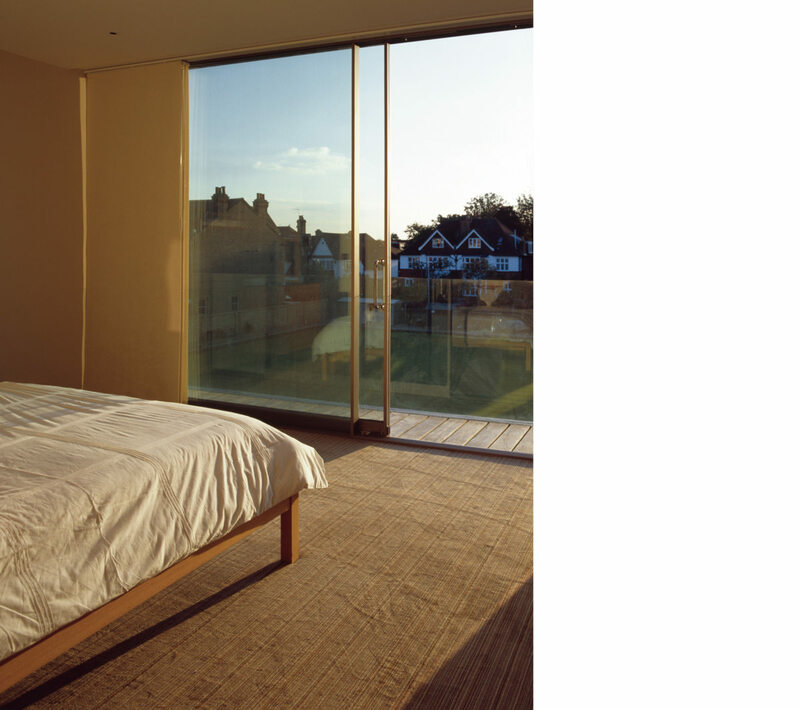 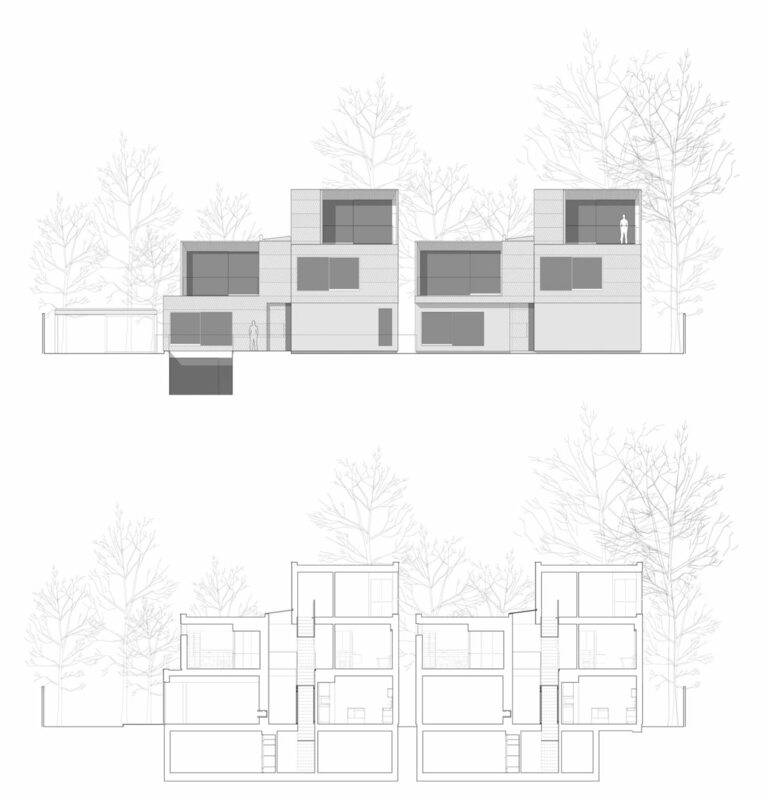 This approach, of using folding planar elements to wrap space to create enclosure, generates an informal, bright and transparent openness to the houses and family-friendly connective spaces. 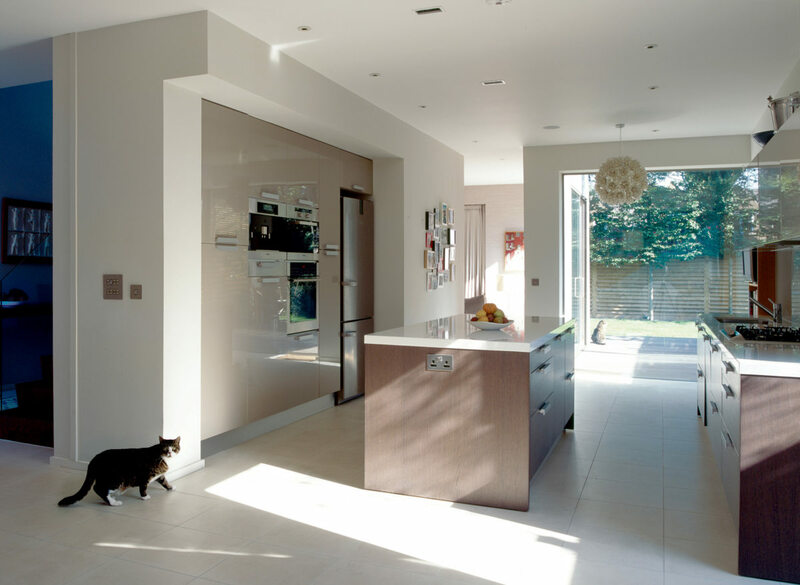 Around the atrium space, the ground floor open plan living, family and kitchen areas all lead onto generous garden terraces. 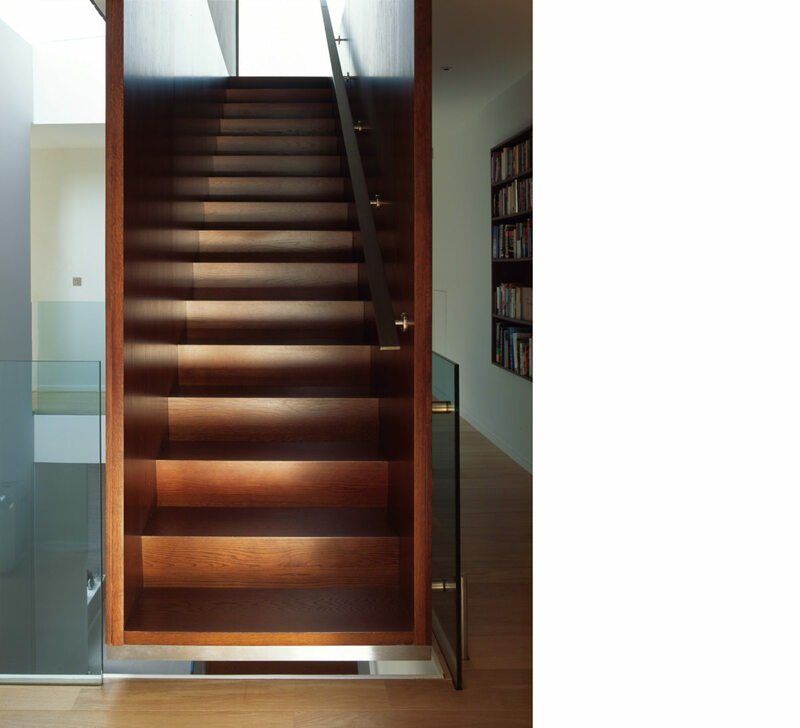 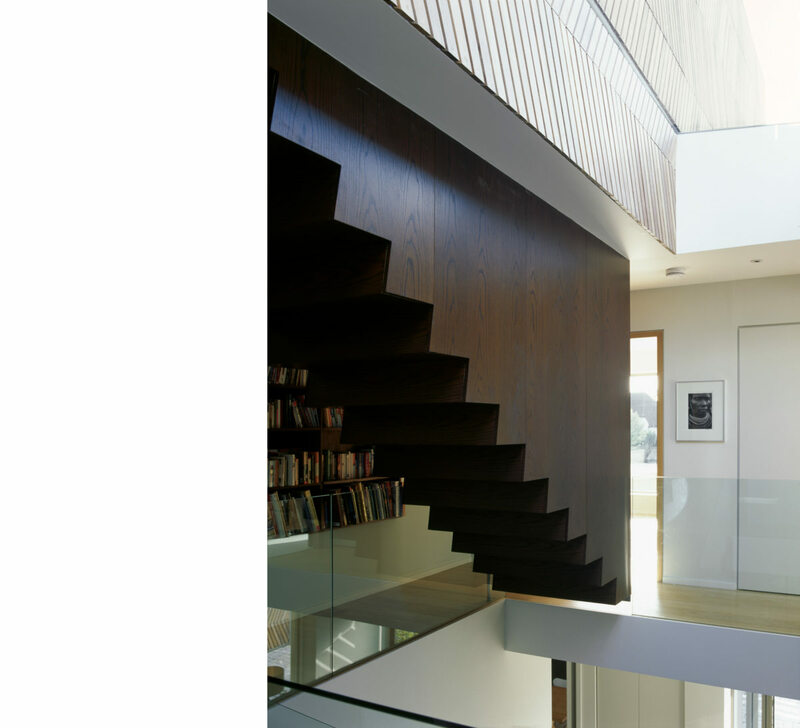 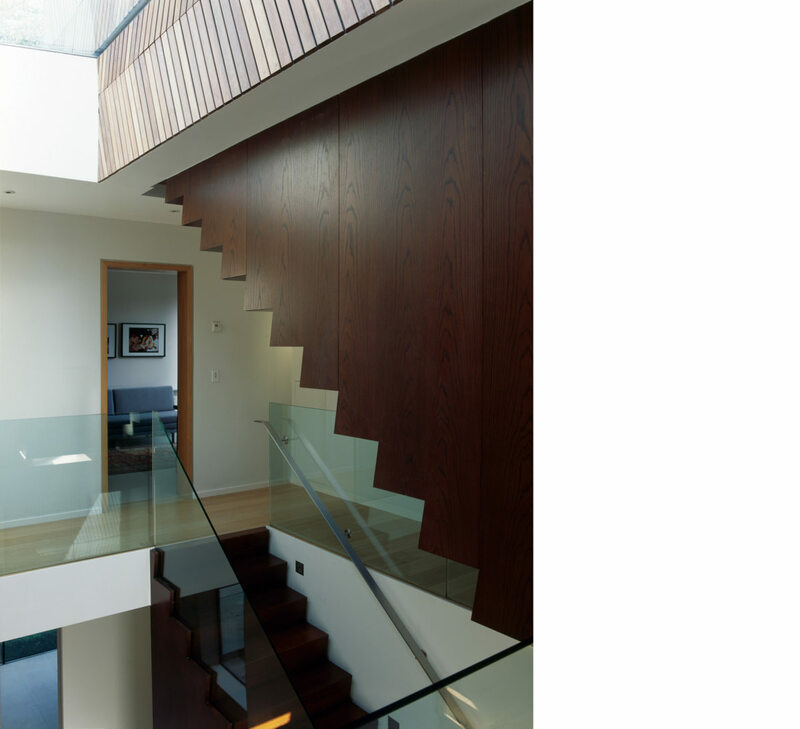 Washed by light from above, the timber staircase, conceived as a single block cut in two, connects ground floor to the first floor gallery.